Before leaving a comment or question on "WeBarcelona answers" browse our website first to find the main theme that interests you. If comments are closed on that page you'll find a link to "WeBarcelona answers" to write your comment or question. You will find a form at the bottom of every page under the title “Contact” for the use of questions related to the services we offer but not for queries such as: How can I reach the apartment I rented in the street Valldonzella? Therefore for receiving a response on such issues you can use the form "Add a comment"..
And remember, we try to answer all the questions but we can not guarantee the answer! It is therefore very important to be as clear as possible when it comes to a question about an address. We often get questions, for example, to reach a certain direction in which is indicated only the name of the street ... and a street in Barcelona can have several kilometers. Follow us on twitter, facebook or g+, or on all of the three ! Hi will be visiting Barcelona in September. Two questions - firstly transport from airport to Easyhotel Fira in Avinguda de la Granvia 22, 08902 L'Hospitalet de Llobrogal and to Sagara Familia. Your best option is to take the bus 46 at the airport to Av Gran Via - Fisica bus stop. You will be close to your hotel (around 200 m). To get the Sagrada Familia from the Easyhotel Fira, take the metro called FGC, (it is next to the hotel) to Espanya station. There take the metro line L1 ( ) to Universitat station and chamge to L2 line. The L2 line will take you to Sagrada Familia. Have a nice stay in Barcelona! How do I get from Barcelona Airport Terminal 1 to Hotel Canton, Nou de Sant Francesc? Take the AEROBUS at the airport to Plaça Catalunya, the last bus stop. In Catalunya square take the metro line L3 (the green one) to Drassanes station. From there you can walk to carrer Nou de Sant Francesc. The metro station is very close to the bus stop. We hope you enjoy our city! Go to the train station (renfe) or to a metro station. In the tickets vending machines buy the T10 card (10 journeys), Then take the bus 46 to the last bus stop (Paral·lel - Llançà). You will be next to Plaza Espanya where you can take the metro line L1 to get to Plaza Catalunya. If you buy the Hola BCN card, you will not need the T10 card but then it will be faster to take the train to Passeig de Gràcia station and then walk to Plaza Catalunya. L'Hospitalet de Llobregat is connected with Barcelona with the metro and is zone A. You could use then the T10 card for example for metro and buses. With the Hola card you could only use the metro. Think that Hospitalet is a big city, so it's important to know where exaclty is your accommodation. In any case Hositalet is next to Barcelona and is well connected with public transport. Your best option is to get the train at terminal T2 to Sants Estació. From there take the metro line L5 to Verdaguer station, and from there you have to walk to your accommodation (5-10 minutes). If your flight arrives at terminal T1 you can take a free bus to get the terminal T2. Can you use a T-50 for the train? The 50/30 card allows taking the proximty trains (Rodalies). This card is valid only for the Zone 1. See the map here. Hi could you please help me. I need to get to Catalina N, 18 Can Begay Es 08348 Cabrils Barcelona from the Barcelona airport. I want to travel by train from the airport. Could you guide me please. We are sorry but we are not able to find the addres you mention. La Pobla de l'illet, 18, Les Corts, Barcelona, 08028, Spain. I am a solo female traveller and this will my first time in Spain. Thank you for your kind help. The easiest and fastest way would be to take the AEROBUS to Plaça Espanya (the first bus stop in Barcelona) and in the square take the metro line L3 (very close to the bus stop) and exit at Les Corts metro station. You will be 5 minutes away from your Hostel. Hey, do I have to book the tickets in advance? Is not mandatory, you can buy the tickets also in the bus (only cash) and asking the staff next to the bus (only cash). There are also vending machines in the airport. For the metro ticket you can buy it in the vending machines in the metro stations. We recommend you to buy the T10 card (10 journeys). In the T1 terminal (if you arrive at terminal T2 there is a free shuttle service connecting both terminals), take the bus L11 to Avinguda Can Corts - Ctra d'Esplugues bus stop. Then you have to take the bus L46 (Tudona - Pl. Parador direction) in Ctra d'Esplugues, 10 minuts by walk, and go down at Av. Sant Ildefons - Marfull bus stop, you will be very close to carrer Buguenvil·lea. Note that if you buy the ticket in the bus you will have to pay 2,15 € per bus, but if you have the card T10 you only will pay for one journey. You can buy at the train station (renfe) in the T2 terminal. Myself & my partner will be arriving in Barcelona Friday sept 30th around 10am. 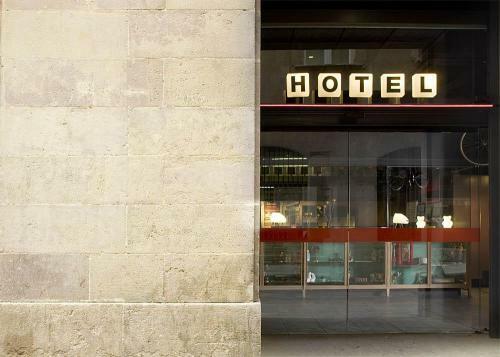 What would be the best way to get to Best Price Hotel Diagonal using public transport? Two ways. From terminal T1 or T2: AEROBUS to Plaça Catalunya (last bus stop). Walk to Plaça Urquinaona (close), take the metro line L4 to Selva de Mar station. From T2 (if T1 there are free buses connecting both terminals), the train to Passeig de Gràcia station. In the train station you can take the metro line L4. You can take the AEROBUS at the airport to Plaça Universitat and there take the metro line L2 to Sagrada Familia. Hi, I was wondering what the best route is from Barcelona Airport to Tibidabo (Carrer de Josep Canaleta) to be exact. What would be the cheapest way to go? The cheapest way: Take the train at the terminal T2. If you arrive to the T1, there are free buses connecting both terminals. In the train station buy the card T10. Take the train to Passeig de Gràcia station. There take the metro line L3 to Vall d'Hebron metro station and in the Passeig de Vall d'Hebro with Avinguda Jordà take the bus 60 (Avinguda de Esplugues direction). Your exit bus stop will be Rotonda de Bellesguard. You will be very close to carrer de Josep Canaleta, but not to Tibidabo. Thank you for reply and the information. I forgot to say that we arrive at 20:05 on the airport. My host says there are no busses and metro's available at that time. She says taking the taxi is the best choice for only €5. Mmmmm, the problem may be the bus. Last buses are at 22:00h and 22:30 (holidays and working days). there are always night buses but there will be very complicated for the first day. A taxi will be the best solution, but a taxi from Barcelona airport to carrer de Josep Canaleta will cost you around 30,00 €. 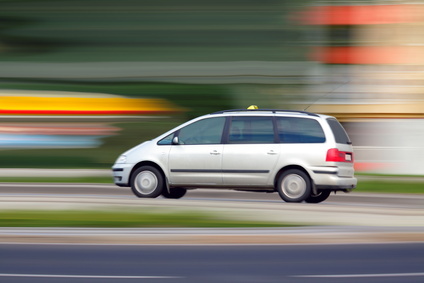 Then, you could also consider a private transfer service that cost 39,00 € (1 to 4 persons). Thank you very much for all the info! That's quite expensive. But I guess those are the options we have then. I'm amazed how great the help is from you guys! We are travelling from The airport to, Sant Cugat del Vallès, Catalunya, wht would be the easiest way to get there and would we be need to buy mulltiple tickets. You could take the AEROBUS at the airport to Plaça Catalunya, and there, next to the El Triangle shopping center, take the FGC, line S1, S2 or S5 to Sant Cugat del Vallès station. You should buy different tickets. What would be most effective mode of transport ? Tram or Metro ? Forget about the metro, it would be so long. The fastest way would be the Aerobus + metro + tram but then you have to change twice. Probably it would be better to take the Aerobus to Plaça Catalunya, then walk (5 minutes) to Plaça Urquinaona and there take the metro L4 to El Maresme / Forum station. The journey will take you aroun 1 hour 10 minutes. We remind you that the children under 4 years all don't pay (Aerobus and metro). If you prefer avoiding the public transfer, you should consider to book a transfer service. For 39,00 will take you from the airport to the entrance of your hotel. Thank you for your amazing info. The information is reliable. You could also use the AEROBUS, leaving Plaça Catalunya at 5:00 h to Terminal T1 and at 5:30 h to T2. Can you please advise on the most convenient way (cheap and safe) to get from the El Prat Airport to Carrer de la Diputacio no 12, on a friday evening, considering we are a group of 4 plus one infant? Thank you! The cheapest option for the address you mention is the train. You have to take the train at terminal T2. There is a free bus connecting T1 and T2 terminals. A tip, think about buying the T10 card in the train station, it will be cheaper than buying single tickets and you can use it for public trnaspor in Barcelona. If you arrive at T1 (or T2) you can also take the AEROBUS and exit at the first bus stop in Barcelona, Plaça Espanya. It is more expensive than the train but it will be faster. Concerning to the safety there is no difference. The best way to get carrer Aragó, 90 is the AEROBUS. Your bus stop is Urgell - Gran Via. You will be 5 minutos by walk from your destination. Hi, could you please tell me the best and cheapest way to get from the airport to Plaça Reial? Thankyou. And then to get from Plaça Reial to Park Guell? Thanks again. The best and fast way, the AEROBUS to Plaça Catalunya (last bus stop) and then walking along Las Ramblas. The cheapest, the train. You can get the train at terminal T2, then the train station in Barcelona is Passeig de Gràcia. From there, get the metro, line L3 to Liceu station. Buy the T10 card or Hola BCN. With those cards the train ticket is included and you can use them in the metro, bus and tramway. To get Parc Güell from Plaça Reial take the metro line L3 at Liceu station and go to Lesseps station. In Gran de Gràcia with Lesseps take the bus 24 El Carmel direction. Your bus stop will be Ctra del Carmel-Parc Güell. Hi. What is the best way to get from Barcelona airport to hotel Novotel Barcelona city on avenida diagonal 201? Thanks very much! The best and cheapest way to get to Novotel Hotel is taking the train at Terminal T2 to Clot train station. If you arrive at terminal T1 there are free buses connecting both terminals. Consider also to buy the T10 card or the Hola BCN card. Easy, you have to get off in the first bus stop in Barcelona, which it is Plaça Espanya, the square with the 2 towers. From there, take the metro line L1, the red one, to Glòries station and you will be 5 minutes by walk from your hotel. We hope you enjoy Barcelona! Hello, how would i get from the Airport to the hotel using the bus. You have to take the AEROBUS to Plaça Catalunya (last bus stop) and in Plaça Catalunya take de line L7 of FGC (entrance just in front of the Zurich cafe). Your station is Putxet and then less than 5 minutes by walk. The AEROBUS bus stop for the address you mention is Plaça Catalunya, the last one. For there take the metro line L3 to Diagonal station. Ypu will be 10 minutes by walk from Aribau street. The bus closest bus stop of the Aerobus is Plaça Catalunya, the last one. As always we say, the cheapest option is not always the best one. The cheapest option is to take the train at terminal 2 of the aiport to Passeig de Gràcia station. There you can take the metro L3 (the green one) to Paral·lel station. From there you can walk to the hotel. Best option, you can take the Aerobus at the aiport to Plaça Espanya (first bus stop in Barcelona) and take the metro L3 to Paral·le station (only 2 metro stations from Plaça Espanya). Have a nice stay in Barceloba! We are sorry but we do not understand very well your question. Could you reformulate it? I'm flying to El Prat T2.I'm planning to use Aero bus .Which bus stop I should get off to reach carrer de lepant 332 catalunya 08025. If you can help me i'll be appreciated. Thanks. To get the carrer Lepant 332 from Barcelona airport terminal T2, take the train to Sants Estació and from there, in the same station, take the metro line L5 (the blue one) to Sagrada Familia station. You will be 5 minutes from your destination. Tip: buy the T10 in the vending machines of the train station or the Hola BCN online. How do we reach LA CIUDADELA - Paseo Pujadas , Ciutat Vella 08018 from BARCELONA AIRPORT T2. You could take the train to Clot station and there the metro line L1 to Arc de Triomf station. You could use the T10 card or the Hola BCN card. You can buy the Hola BCN online and the T10 at the train station.